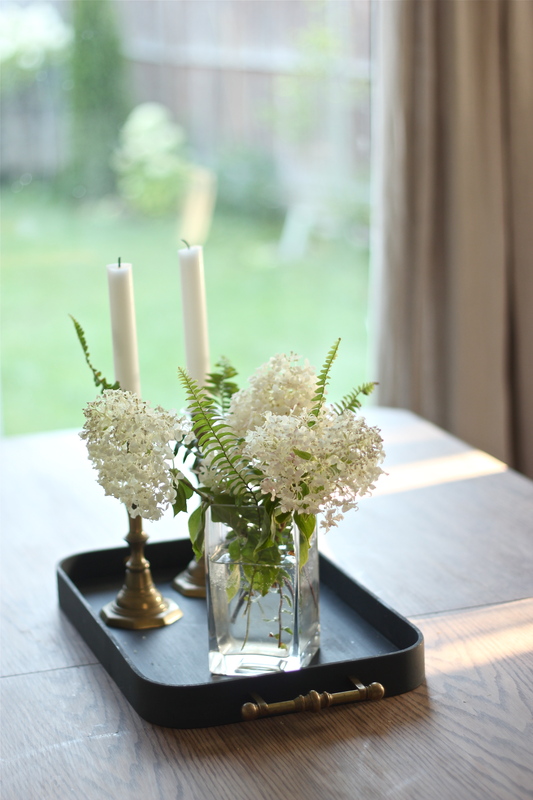 Do you add more houseplants & flowers to your home this time of year? Terra cotta pots are a classic & inexpensive option for plants but the ordinary colour isn’t my style. Doing a quick paint job adds that aged look. 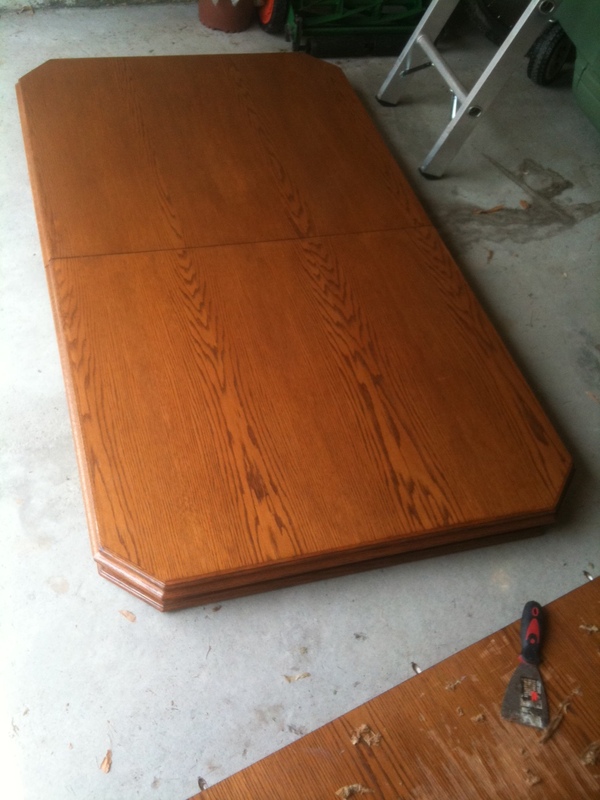 Here’s a look at the before and after – which only took a couple of minutes and hardly needed any supplies. The trick to this look is using a dry brush technique. Dip the paintbrush into a tiny bit of paint, then dab most of the paint off onto the scrap paper. Apply the paint to one spot on the pot and then rub it with the brush and gently spread the paint outwards until no more paint is left. Continue these steps until the whole pot is covered. Using very little paint is key. Here they are finished and below is a pot I did a few years ago with white paint. This larger herb pot was left outside over a couple of summers too so that’s what added to the patina. Well spring may be a few months away still but it feels more lively in here with extra plants & forced bulbs around. 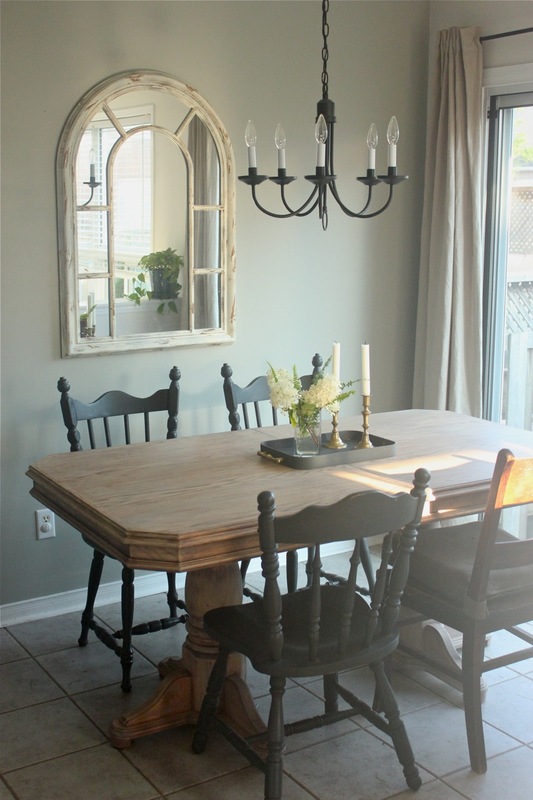 Farmhouse tables with light wood and trestle or pedestal bases are my favourite style for dining and I was determined to make it work in our small kitchen and on a small budget. 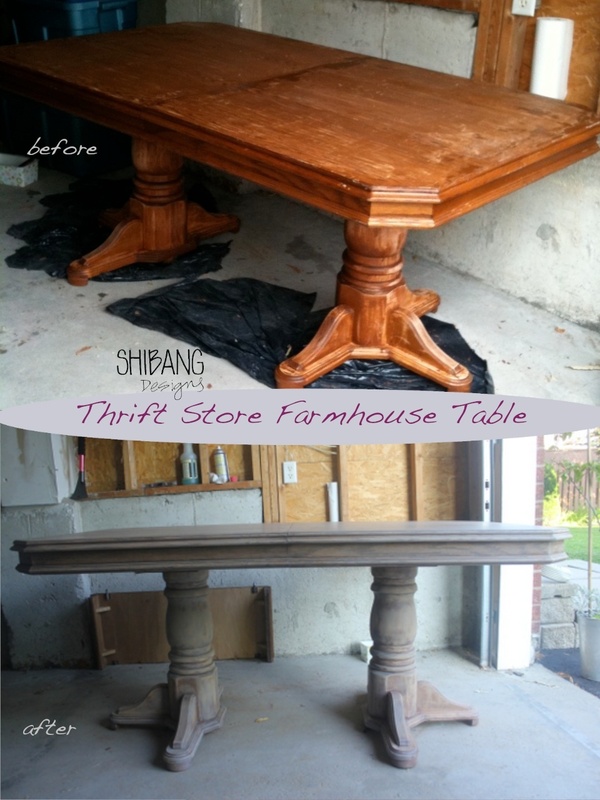 Many tables in the market aren’t narrow enough to fit our space so when I came across this one at a thrift store I knew it would work after a major refinishing job. 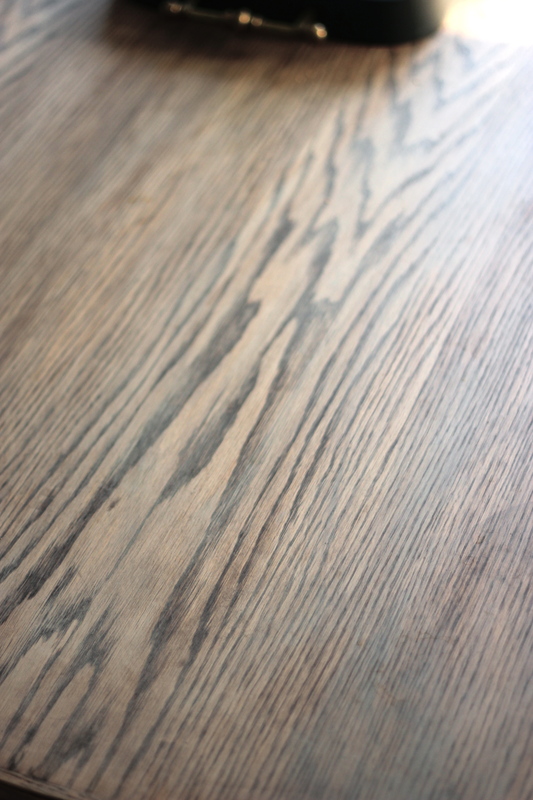 It took hours and hours of scraping and sanding until I was able to get it right down to the wood so that I could stain it a light driftwood grey. 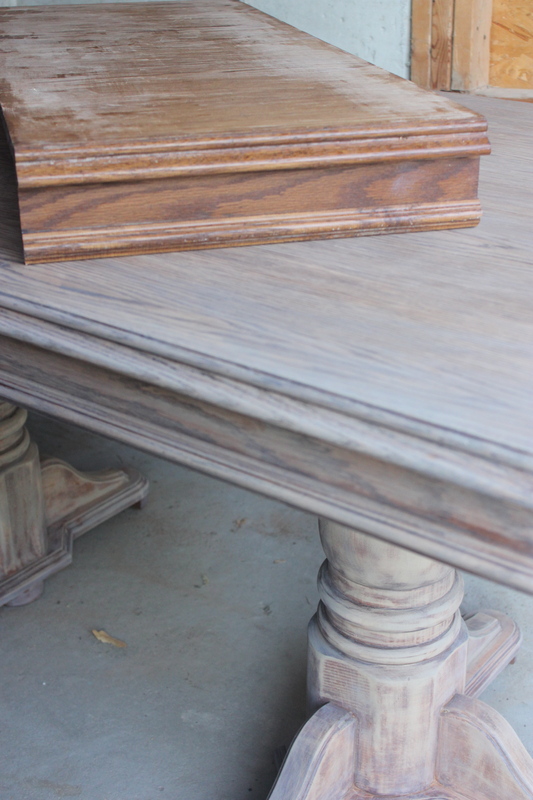 For the pedestals I took an electric sander to get rid of all that varnish and gloss to reveal the solid wood below. 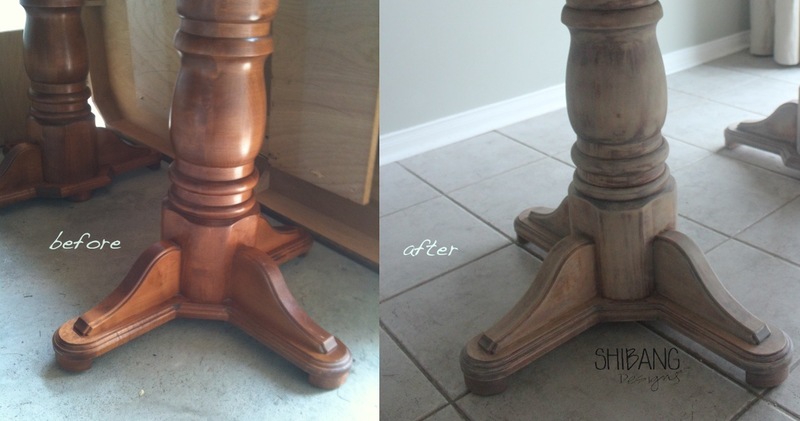 I am not a perfectionist when it comes to furniture refinishing in our house because I’d rather get the job done and I know that it’s going to be subject to heavy use and abuse. 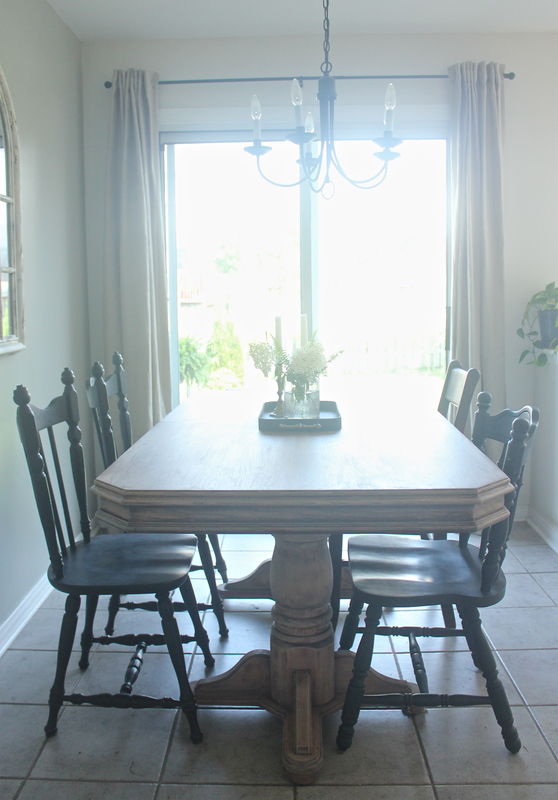 The next step is going to be constructing a banquette to go along wall which is why having a pedestal base was important to make it easy to get around the table. 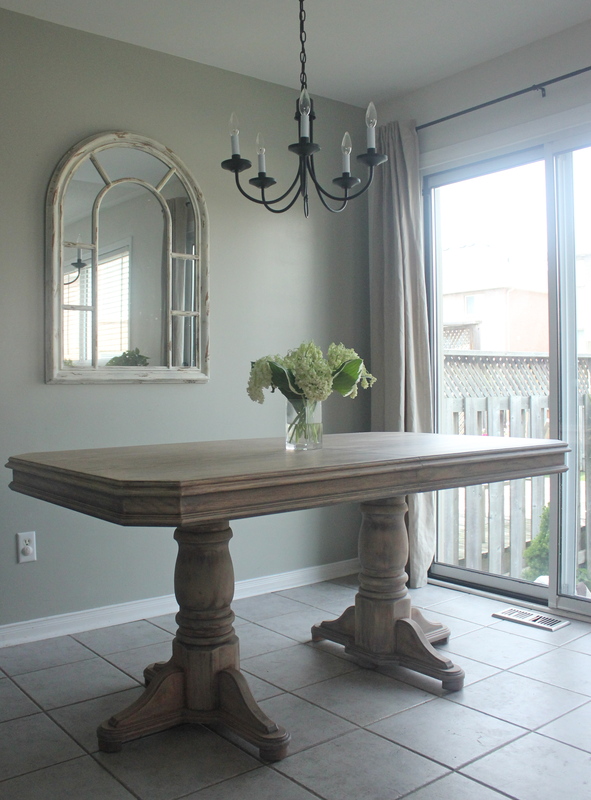 You can also check out this table featured on Apartment Therapy.